Located in St. Louis City real estate, homes for sale in Lafayette Square MO are conveniently located within 5 miles of the Arch and Downtown St. Louis. 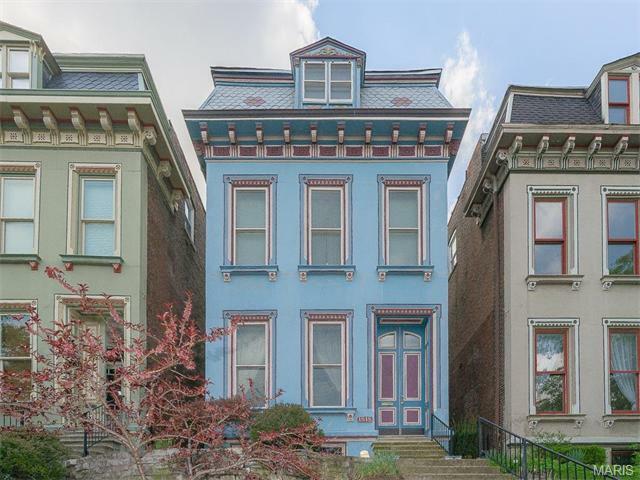 Lafayette Square Real Estate and Lafayette Square properties are a perfect addition to the St. Louis Real Estate market. Lafayette Square real estate is primarily French Style historic homes. The Homes for sale in Lafayette Square MO range in price from approximately $100,000 for gut rehab homes to $1,000,000. The median home price in 2014 was approximately $325,000. Homes in Lafayette Square are known for their unique architecture and many have been restored to their original state. There is a strip of homes known as “Painted Ladies” which are gorgeous Victorian homes that surround Lafayette park. Lafayette park is a 30 acre lush getaway located in the center of Lafayette square that has numerous activities throughout the year including concerts on their bandstand. The Lafayette Square residents are served by the St. Louis City School District including Vashon Senior High and Roosevelt Senior High. See Great Schools for up to date ranking on every school in the area. If you are looking for a home for sale in Lafayette Square MO or you would be interested in buying a home in Lafayette Square, please contact St Louis County real estate expert, Sharon Colona and St. Louis Realty for a professional and simple buying or selling process. Call (636) 397-7653 or email at scolona@stlouisrealty.net.